University of Agricultural Sciences (UAS), Raichur under Govt. of Karnataka has invited applications in a prescribed format from eligible and experienced candidates for filling 36 vacancies under Assistant Professor cadre in the various disciplines/subjects comprising Farm Machinery and Power Engineering, Agricultural Economics, Agricultural Extension Education, Agricultural Microbiology, Crop Physiology, Genetics & Plant Breeding, Soil Science & Agricultural Chemistry, Fisheries, Animal Science/Veterinary Science/Poultry Science, Agro Forestry, Statistics, Home Science, Sericulture, Environmental Sciences, Computer Science and Physics. The application process towards the same starts from March 05, 2019 and closes on April 04, 2019 by 5:00 pm. 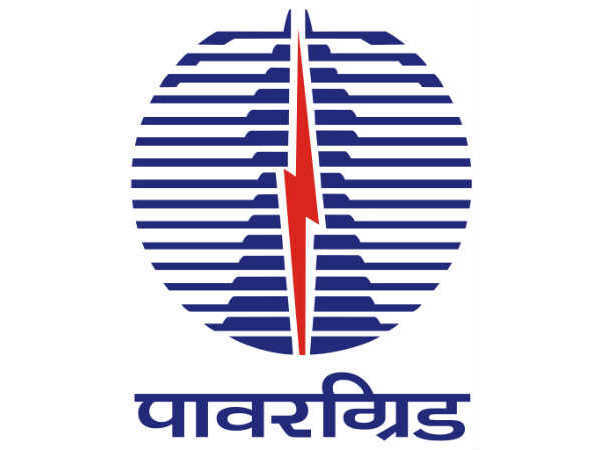 Candidates interested in applying for the post of Assistant Professor through UAS Raichur Recruitment 2019 must have attained 18 years of age and must not have exceeded 35 years of age (Gen), 38 years for OBC (2A/2B/3A/3B) candidates and 40 years for SC/ST and Cat-I candidates as on April 04, 2019. Candidates must pay a specified amount of Rs. 1000 (Gen/OBC) and Rs. 500 (SC/ST) respectively as application processing fee in the form of Indian Postal Order (IPO)/Demand Draft/Bankers Cheque payable to the "Comptroller, UAS, Raichur" as detailed in the notification. Desirous candidates applying for the post of Assistant Professor through UAS Raichur Recruitment 2019 must possess Masters Degree with minimum 55% marks or Ph.D in Farm Machinery and Power Engineering/ Agricultural Economics/ Agricultural Extension/ Agricultural Microbiology/ Crop Physiology/ Statistics/ Agricultural Engineering/ Environmental Science/ Physics/ Computer Science, etc from a recognized University/Institution. 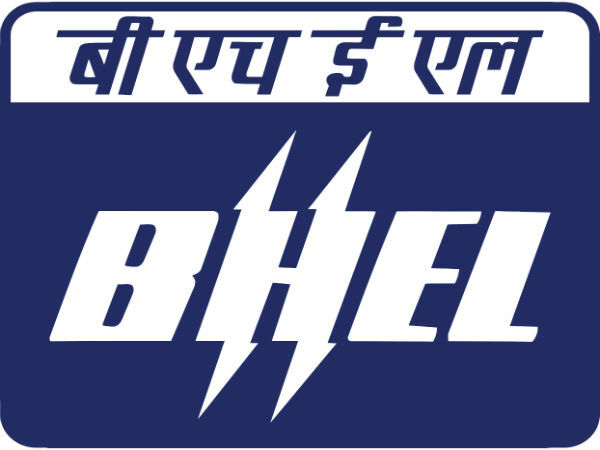 Candidates must have cleared the UGC/CSIR National Eligibility Test (NET)/SLET/SET with desirable teaching experience. The selection of candidates as Assistant Professor through UAS Raichur Recruitment 2019 will be done through Shortlisting, Interview and Document Verification. 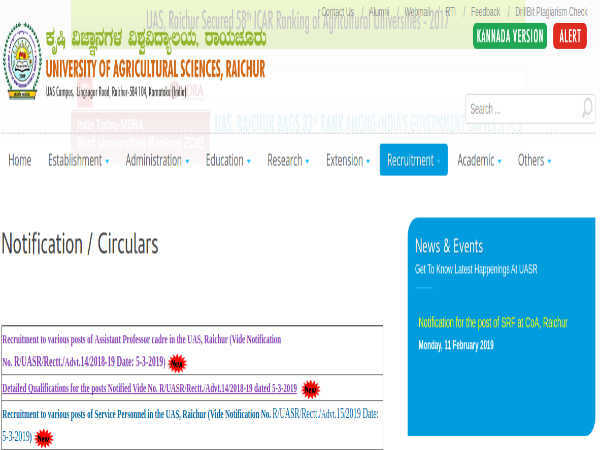 Candidates applying for the post of Assistant Professor through UAS Raichur Recruitment 2019 must fill the application in a prescribed format, and submit the same along with self-attested copies of relevant supporting documents and testimonials to, "The Registrar, University of Agricultural Sciences, Lingasugur Road, Raichur, Karnataka, 584104," on or before April 04, 2019 by 5:00 pm. The envelope containing application from and other testimonials must be superscribed as "APPLICATION FOR THE POST OF _________________________________"